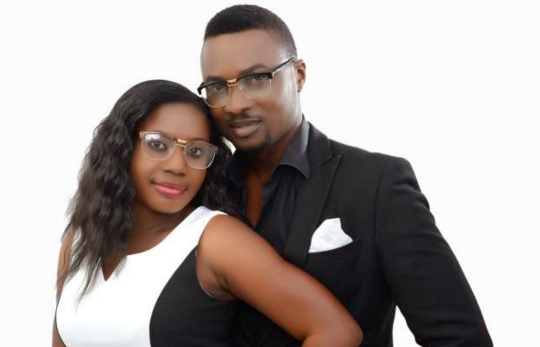 Nollywood actor and controversial Gulder Ultimate Search contestant, Von Apochi, is married to Noella, a business development manager. They share the story behind their successful union after the actor suffered a serious fire incident. Von: We met about four years ago when I started consulting for a multinational financial organisation. I met her during one of the trainings we underwent together, because she worked there as well. My spirit told me that she would be my wife the first day I saw her, and that was the first thing I told her. Why were you convinced that she would become your wife? Von: She is a beautiful woman, but that was not the reason why I was initially drawn to her. Apart from her physical appearance, I fell in love with her personality. The conviction was so strong that I could not explain it. I had to tell her because I could not keep it to myself. Then, she did not know I was a celebrity and did not recognise me, even though she had seen a couple of my works. Von: The training lasted for about two weeks and we met every day. I engaged her in conversations. Over time, she began to like my personality and after the training, we were posted to the same unit. We got closer and she finally accepted to be my girlfriend. Noella: I was drawn to him because he is very intelligent. Why did you initially refuse to be his girlfriend? Noella: I did not believe him when he said he wanted to marry me. I thought he was fake. I wanted to be alone but he was persistent. How did you later tell that he was genuine? Noella: I guess his persistence convinced me. He kept telling everyone that I was his wife. Noella: He proposed to me at his birthday party. It was sort of a surprise because I did not expect it. He stood up to give the vote of thanks at the end of the party and eventually popped the question. Noella: I did not expect it when it came. I was a bit shy because there were too many people there and they told me to smile. I thought he would propose in a quiet atmosphere. What challenges did you face during the early years of your marriage? Noella: Every marriage has its own challenge and it takes a physically and mentally strong personality to face it. If you marry your friend, I do not think there will be any challenge you cannot overcome. Did any of your family members ever oppose your decision to get married? Noella: We did not have any issues like that. Both families were supportive. Why didn’t you marry an entertainer? Von: I was not particular about the kind of woman I wanted to marry. I just wanted to marry a good wife. I have my excesses and without sounding cocky, I am also smart and intelligent. I needed a woman that would learn very fast, complement my energy and still remain calm. I prayed about it when I met her. Also, I did not want to marry an ugly woman because I did not want my kids to turn out ugly. It sounded vain, but I was also concerned about the spiritual aspect as well. But my wife is conversant with the entertainment world, even though she works in the corporate sector. She runs her own blog as well. Were you scared of losing her after you were involved in an accident? Von: I was not scared at all. I still retain my swag, with or without the accident. I knew I married a good woman and she was quite supportive. My mother was supportive as well. After the accident, she came to the hospital and almost broke into tears but she was strong and kept praying. She looked at my face, hands, and even opened my boxer shorts to see if my manhood was intact. I never expected her to leave me during my ordeal. 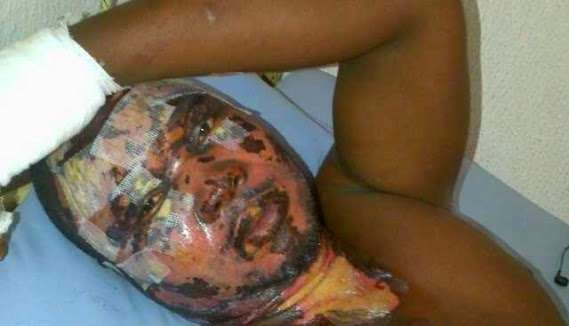 Noella: I did that because I had never seen a fire accident victim all my life. I kept asking him how he felt in the process. I am sure he was joking when he said I tried to check if everything was intact. Some women would have left after the accident, why did you not consider it? Noella: If you took your vows before God, you are expected to keep them. I did not think about leaving and it never crossed my mind. All I wanted was for my husband to be fine and I was there for him to ensure he was never depressed. It was simply a trying period for us. Henrietta Kosoko buried amidst tears.